Products catalogue - The Kharkov metal cloth factory "Tetra" - We are specialized in woven wire cloth and take a stable position in the market. Our work is based upon experience, continuous research and development of products and manufacturing process, along with the knowledge and ability of our employees. 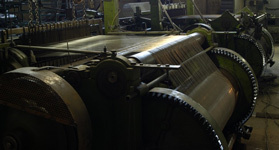 The Kharkov metal cloth factory "TETRA"
Today, we are one of the leading wire weaving companies in Ukraine. 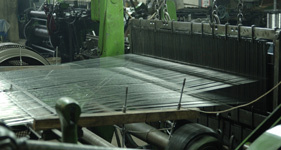 We are specialized in woven wire cloth and take a stable position in the market. Our work is based upon experience, continuous research and development of products and manufacturing process, along with the knowledge and ability of our employees. This combination of tradition and innovations allows us to meet and exceed the high expectations of our customers. Establishment of the Tetra Ltd. as a trading company in Kharkov. Acquisition of the weaving looms Emil Jäger GmbH & Co. KG Maschinenbau (Germany) and beginning of the wire cloth production. Production certification according to UkrSEPRO quality standard. 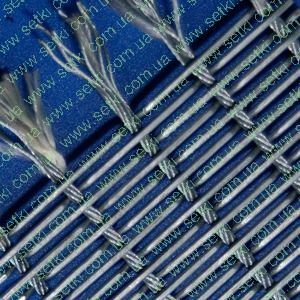 We hold a leading position in the wire cloth market in Ukraine. Opening a branch office in Kiev. Reorganization of the firm and foreign capital formation. It helped to acquire weaving mill CE Johanssons Metallduksfabrik (Sweden). Increase in turnover and quality improvement of the products. Acquisition of the weaving looms from ZDB a. s., závod Kovové tkaniny Kamenná (Czech Republik). Acquisition of the modernized weaving looms STEGMANN and JÄGER from TEMISA Technik GmbH (Germany). Expansion of a big distribution network in Ukraine and opening of branch offices. Working out our own technical terms for wire cloth production. Stable position in the wire cloth market. Description: Each warp wire crosses alternately above and below each weft wire, thereby they form square mesh. 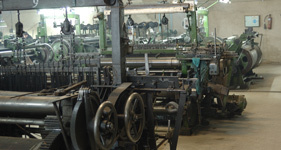 Warp and weft wires generally have the same diameter. Application: They are used in mining, food, pharmaceutical industry as sieves, separators, different filters etc. Characteristic: aperture width, wire diameter, open screening area, roll width, material. Material: Woven wire clothes are generally made of stainless steel AISI 304, AISI 321, NiCr and of non-ferrous alloys (brass). Description: This kind of wire cloth is made the same way as woven wire cloths with square meshes but warp and weft wires form a rectangular mesh. Application: They are used in pulp and paper industry and in asbestos and slate making. 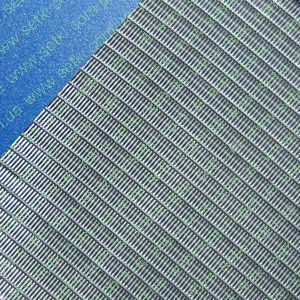 Material: Woven wire clothes are generally made of stainless steel AISI 304, 321 and of non-ferrous alloys. Description: This type of mesh is woven of round wires (weft) and of single, double etc. cord strands (warp). It has square or rectangular meshes. Application: High-alloy and heat-resistant steel wire conveyor meshes are used mainly for drying devices in food and chemical industries. Characteristic: aperture width, weft and warp wire diameters, number of cords in weft strand, number of wires in one cord, roll width, material. Material: The woven conveyor meshes are made of stainless steel AISI 304, 321 or of heat-resistant steel. 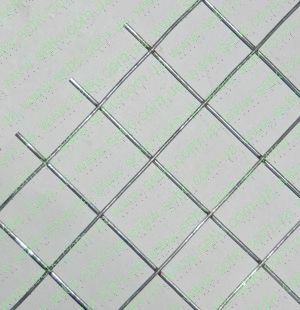 Crimped wire mesh is usually used for reinforcement of ferroconcrete items or brickwork; it is used also as fencing, frames for greenhouse, cages for birds or animals etc. 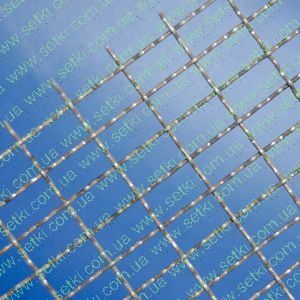 This kind of wire mesh is made of carbon iron wire, galvanized steel wire or stainless steel wire. Crimped wire mesh is woven after wire being crimped. Wire diameters are 3; 4; 5; 6,5 mm. Conveyer mesh belts are used in conveyer lines for drying of various materials and food products. They are made of stainless steel AISI 304, 321 or of heat-resistant steel. Chain Link Fence is used as fences for playground and gardens, super highway, railway, airport, port, residence, etc. Also can be used for breeding of animals. 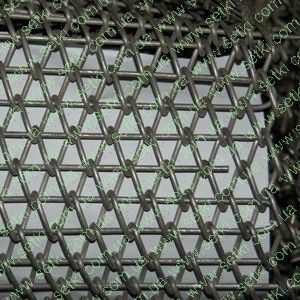 Hexagonal Wire Netting is divided into galvanized hexagonal wire, pvc-coated hexagonal wire netting It is widely used in construction building, as reinforcement splinter proof of glass, cement concrete, laying of roads etc. Description: Welded wire mesh is the most economic one among other welded wire mesh products and finds the most popular uses. 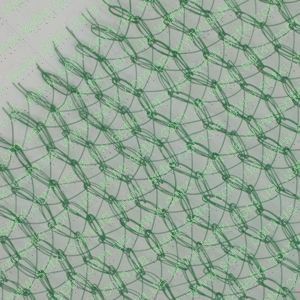 It is made of low-carbon wires with diameters from 1.2 mm up to – 5.00 mm and has square or rectangular meshes. Application: Welded wire mesh is used for reinforcement of ferroconcrete items or brickwork; it is used also as fencing, frames for greenhouse, cages for birds or animals etc. Plastic meshes are nontoxic and chemically inert. They are used in food industry. These meshes don’t screen electromagnetic waves that’s why they used in construction and indoors where the electromagnetic signal distortion is not allowed. 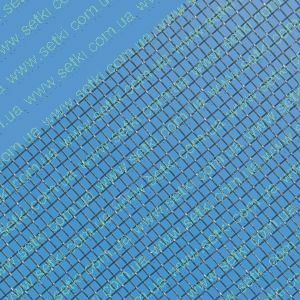 Description: Wire filter cloth, woven in a plain weave pattern having few and thicker warp wires and many thinner weft wires, beaten closely together. Twilled Dutch is of a similar construction to plain Dutch i.e. fewer thick warp wires, many thin weft wires, except the weave pattern is twilled which allows the maximum number of weft wires. Dutch twill is a surface filtration media and allowing the smallest openings. Smooth surface, very solid, specially used for finest filtration. Application: Filter weaves made from metal wires are used for separation of solids and clear filtration of liquids, as in the cleaning of fuels or hydraulic liquids, or in water treatment in chemical, mining industry etc. Characteristic: aperture width, wire diameter, open screening area, weaving type, roll width, material. Material: Filter wire clothes are generally made of stainless steel AISI 304, 321. Description: Its kind of arm knitted of high-alloy stainless steel round wire. Application: Filter knitting, as a component of mesh impingement plate, serves for gas and steam separation in rectifying stills, scrubbers, separators in gas-and-oil producing industry. Characteristic: wire diameter, number of loops, coil length. Material: Filter knitting is made of stainless steel AISI 304 and 321. 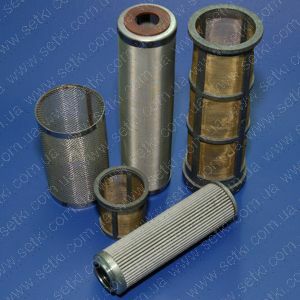 Filter elements are used for the filtration of fluids and made of different kind of wire cloth. There are many types of filter elements; they can be smooth or pleated, simple round or cylindrical, single-layered or multi-layered etc. Filter discs have different forms, like round, square, oval and can be made according to customer's requirements. According to material and application the following joints are possible: spot welding, cylindric seem welding, traditional soldering, adhesing. Description: Barbed wire is a kind of modern security fencing materials fabricated with main and barb wires. Application: Barbed wire is used in agriculture, industry, cattle breeding and forestry. Description: Razor barbed wire is a kind of modern security fencing materials fabricated with razor-sharp steel blade and high-tensile wire. 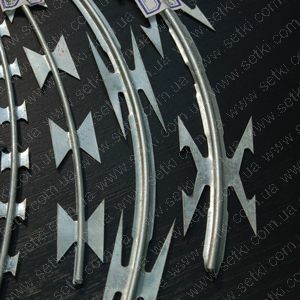 Application: Razor barbed wire is used in military field, prisons, detention houses, government buildings and other national security facilities. Besides, it has apparently become the most popular high-class fencing wire also for cottage and society fence, and other private buildings.